These distinct features are why numerous students have chosen Missio Seminary to successfully improve their current ministries and start new ones.  Missio is a graduate institution so all of our programs require a completed undergraduate degree from an accredited institution. An exemption may be granted on a case-by-case basis. Please note some of our advanced programs have additional qualifications. You may already have a specific program in mind to start, or you may still be trying to discern your calling. Now is the time to see how we can help you achieve your learning goals. Please browse our website, talk to an admissions team member, schedule a visit to our campus and meet our dedicated faculty. Prospective students are invited to submit an application for admission up to one year in advance of anticipated enrollment. We request that all applications are submitted and completed no later than one month in advance of anticipated enrollment. When using our online application, you will be prompted to create an account prior to beginning the process. This allows you to save your progress and return to the online system at a later date to upload forms and documents that you have completed. Please reach out to our admissions staff who can help you with any questions you may have. Missio will work with you to create a financial aid plan that will help you realize your educational goals. We do this through various student payment plans and through a variety of financial aid opportunities including scholarships, grants, discounts, and federal student loans. Before applying for financial aid, you should assess your personal financial situation, including funds saved for education and your support network. A support network may include your home church, denomination, people to whom you have ministered, friends, family, clubs, and foundations. We also believe no qualified student should be discouraged from pursuing seminary for merely financial reasons. We have established our financial aid program to supplement your financial resources. Congratulations on being accepted to Missio Seminary. Your acceptance letter will be sent to you and it will contain your Student ID number. Your admissions counselor will be in contact with you regarding orientation. Now that you have been admitted into one of our programs, there are still a few steps to complete prior to attending classes. You will work with your admissions counselor and the academic department to enroll in the proper classes. Arrange a payment plan with our business office. Once the above steps are completed, you will receive your login information and be granted access to our e-campus system. Everything you will need as a student is located on the e-campus homepage. In addition, you will also be automatically enrolled in our NC100 Orientation course that will guide you through using the e-campus system to submit assignments and participate in class discussions. Work with your admissions counselor to register for classes, login to e-campus and check the academic calendar, and prepare to meet your fellow students.